37421 + 37219 at the works in evening sunlight. 37421 was was new as D6967 from English Electric / Vulcan Foundry on 13th February 1965 and allocated to Sheffield Darnall. Rebuilt at Crewe as 37421 in June to December 1985, and allocated to Inverness. Stored by EWS in September 2007, and preserved in December 2008, going to Blaenavon. 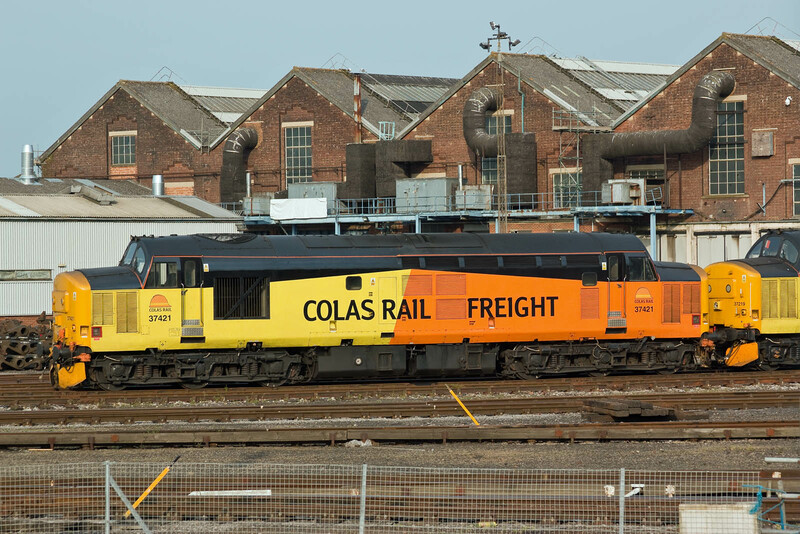 Sold to Colas in January 2014. I first saw this on 3rd May 1997 while on "The Crewe Cut". 37219 was new as D6919 from English Electric / Vulcan Foundry on 16th January 1964 and allocated to Cardiff Canton. Stored by EWS from Janaury 2001, it was at Eastleigh until preserved in 2005, initially at Chasewater. 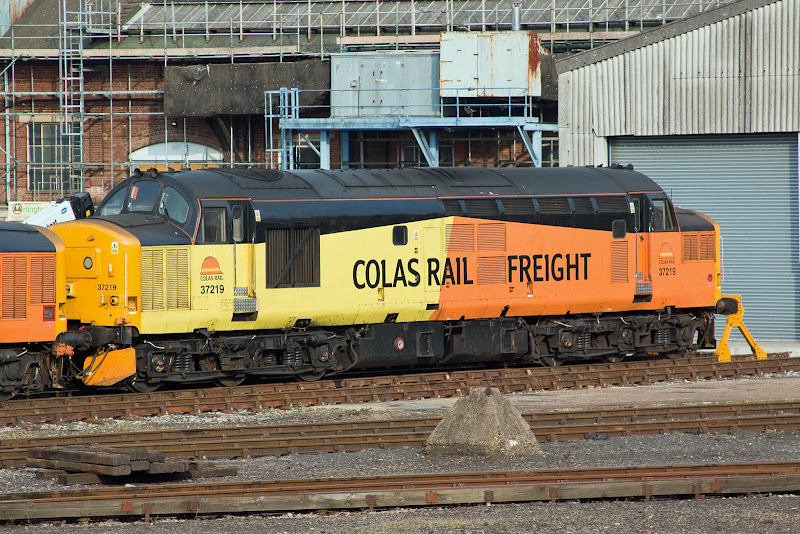 In November 2010 it was at Dereham, Mid Norfolk Railway, and later was at Blaenavon until sold to Colas in January 2014. I first saw this locomotive on 31st January 1997 on a day trip to Bristol.